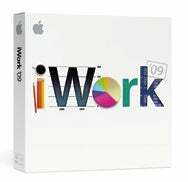 Apple on Thursday released an update to its iWork '09 document, spreadsheet, and presentation suite. The release notes say that iWork 9.0.2 improves reliability when saving some iWork documents, and also when playing some presentations more than once during a single Keynote session. Apple recommends the update for all iWork '09 users. You can download it from Apple's Support Downloads Web page, or using the Software Update feature in OS X. The $79 iWork '09 includes the latest versions of Pages, Numbers, and Keynote.